Although I recommended you to not care about brokers' User Interface when you choose yours, I must admit that the one of Interactive Brokers (IB) is quite cryptic. Several readers asked me how to buy the VT ETF (or others) and how to exchange currencies with IB's tool. 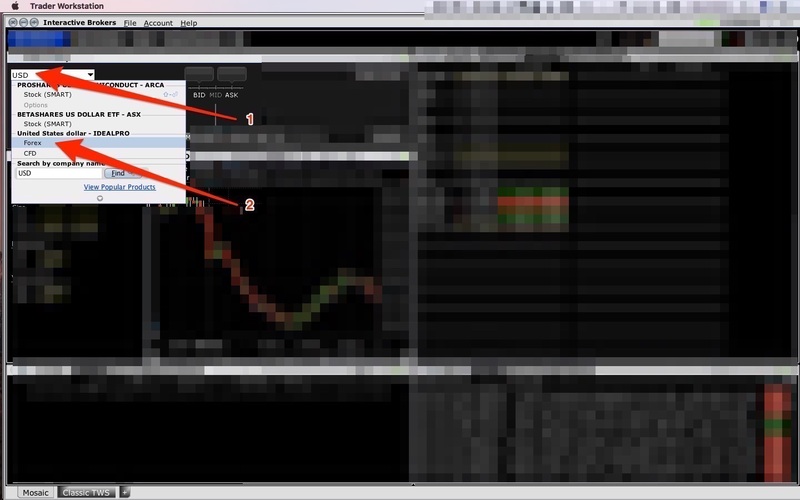 I had to provide you this how-to in case you followed my experience and chose this broker too. As a reminder, I went for IB after having compared the top brokers on the Swiss market. In case you didn't start to invest yet, I can't help to recommend you to start today by opening an IB account now, and come to this article afterwards. OK, so did you fill the lengthy form? Good, you're now on the path to build your wealth! For the ones who are new here, you can pause for a moment, and go read this article where I explain why I chose to invest into the VT ETF. 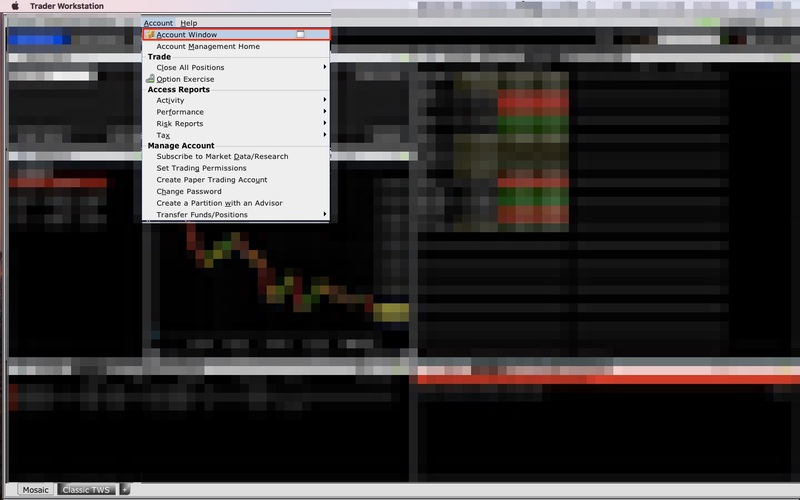 OK so let's pretend we're Wall Street traders, and dive into this fancy user interface! 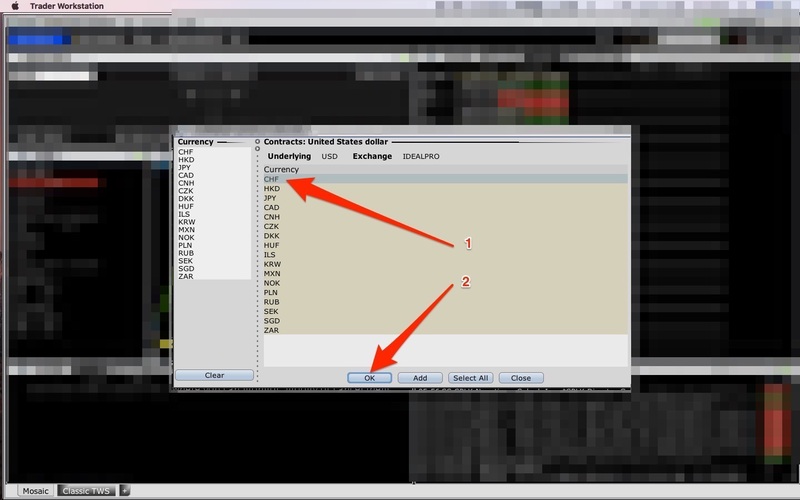 In this how-to blogpost, I consider that your base currency is in CHF (or at least one different than USD), that you already transferred cash to your brokerage account, and that you would like to buy for CHF 4'000 worth of the VT ETF. As simple as it may look, IB made it a bit complex when it comes to the tool. I had to sync with the customer service to get all the needed infos. I precise that they replied promptly with the right answers. 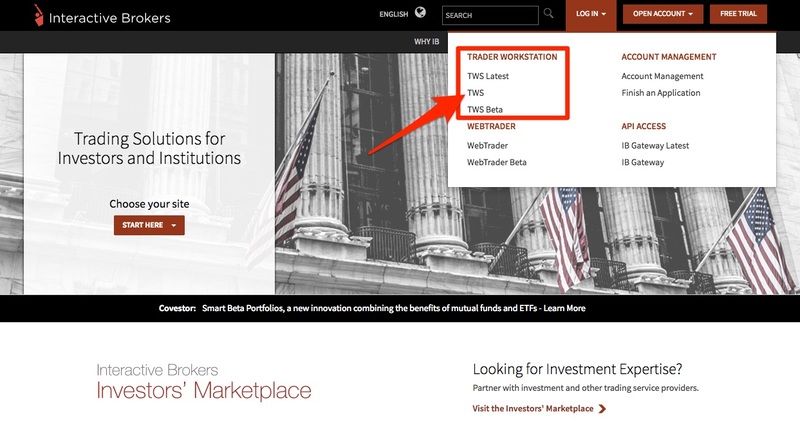 If you checked on their website, you noticed that they have several tools to connect to their trading platform. I used the WebTrader to do this two-steps process. That was my first mistake as I realized that I could complete none of the steps with this one. As the customer service explained me, their online service doesn't have the full feature set of the desktop application. I had to download this latter in order to complete my transaction. But well, being the #1 broker on my list, I won't complain too long for such a detail, moreover when you know I have to connect to it only once per quarter! Once you have installed the software, simply login and follow the next screenshots. Download the "TWS" version to have the time-tested version — the "Latest" and "Beta" are newest versions that might be less stable than the simple "TWS". 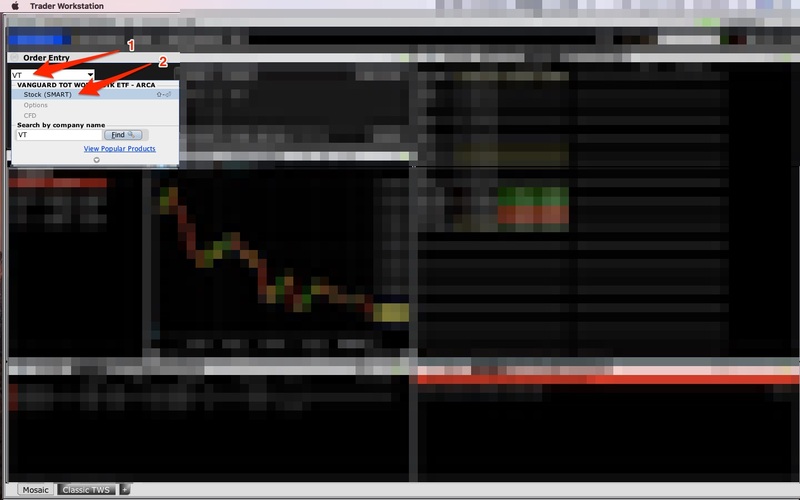 On the top left of your screen, enter USD and hit "Enter" on your keyboard. In the list that appears, click on "United States dollar - IDEALPRO > Forex". 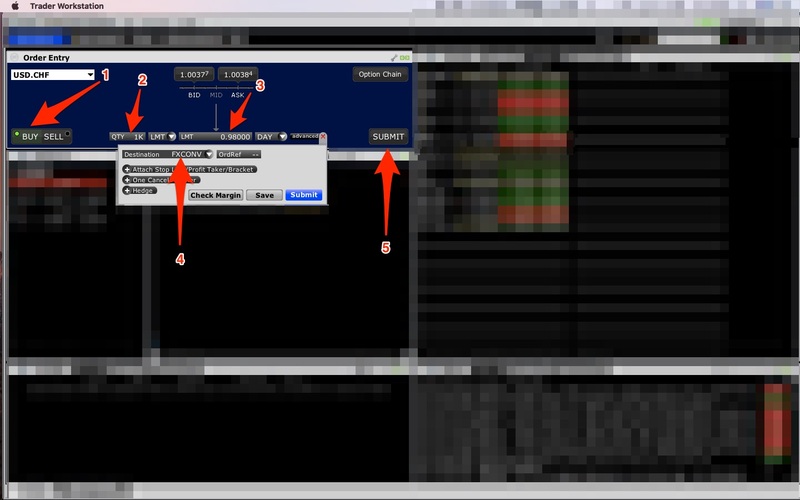 Then you can see the bigger window as shown below where you select "CHF". 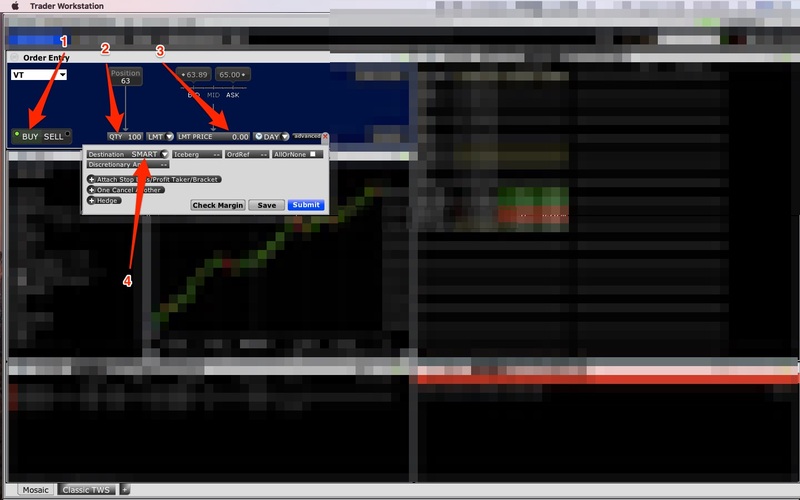 Click OK, and you will get asked if you want to open FXTrader: reply with "No". Once you have the following line on your screen, select the button "BUY" (1), choose the quantity of dollars to ask for (2), setup the currency rate limit up to which you're OK to exchange your CHF for USD (3). 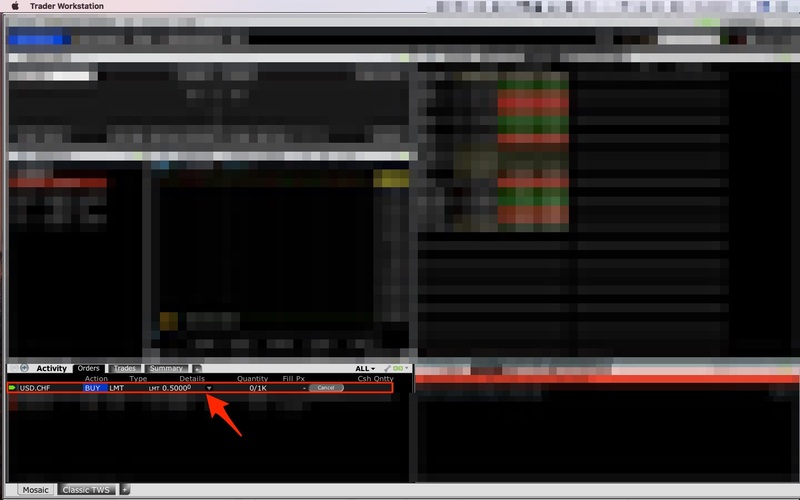 Also, make sure you change from "IDEALPRO" to "FXCONV" (4). IDEALPRO is for leveraged FOREX trading, while FXCONV is for currency conversion. Then, click "Submit" to place your order. You may have a transaction confirmation screen. In that case, check that all is OK and accept. You can then track your orders as shown below. 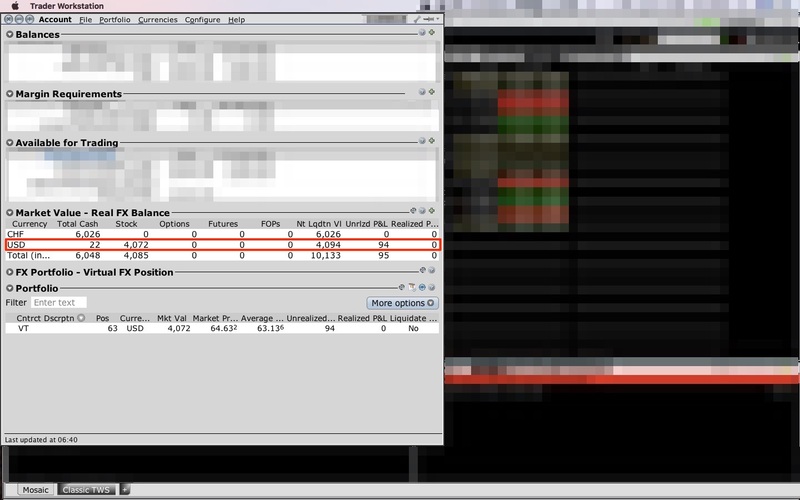 It will also appear on the WebTrader where you can't do FXCONV transactions, but still see them (actually marked as IDEALCONV which is a false info there). Enter "VT" (1) in the search box and select "Stock (SMART)" (2). Select "BUY" (1), set the quantity of ETFs you want to acquire (2), your limit price per ETF (3), and choose between "Stock (SMART)" or "Stock (Directed)" routing (4). Pro tip for the max limit price: don't start to gamble as you better invest today than to wait for the perfect share value that may never come. Regarding the routing mode, the "SMART" one (that I use) will find the best price for this ETF amongst the stock markets on which it is traded. 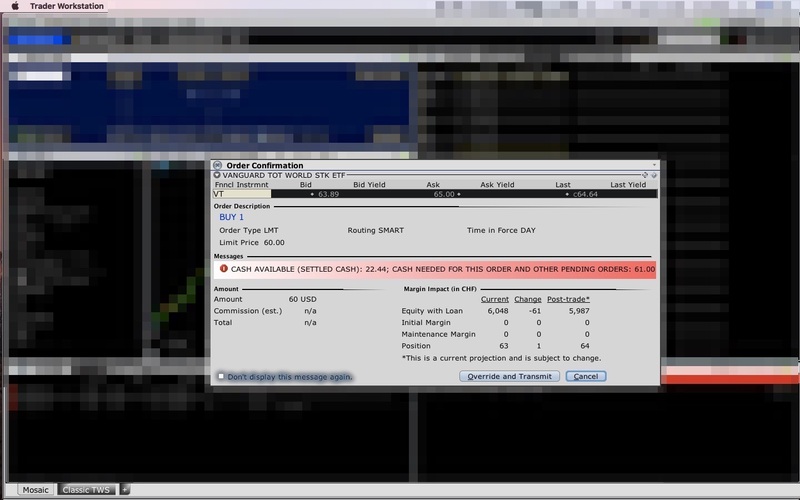 The "Directed" option is to choose by yourself on which stock market you want to perform your transaction. In case you wonder, there is no extra-commission nor fees if you choose IB's SMART routing. Once you submit your order, you will have a recap of its costs. Validate it to definitely transmit it. You may wonder what happens if you buy more ETF than you have USD? Well, the transaction will simply not be executed as you lack USD cash. In my example below, I have the error message as I don't have enough USD in reserve. In case you're richer than me, you won't have any error message and will be able to place your order. You can see your order in your orders list (present on both the desktop app and WebTrader). As soon as the stock price is below your limit (given you're in stock market opening hours), your shares will be bought by IB using your USD stash automatically. In case you plan to buy an ETF such as the Vanguard FTSE All-World UCITS that is traded in CHF, it will be faster as you can skip the step 1, and "simply" trade your ETF with your available CHF cash. Make your money work for you. Today. You now know how (got to read that aloud!) to buy stocks on IB in another currency than your base one. If you target financial independence, you have to make your money work for you. You got to start today. Even if you invest small amounts at first, start today! Go open your Interactive Brokers account, wait a few days to receive your access, transfer your savings, and then start investing following this simple two-steps process. You will thank yourself in some decades! In case you use IB and have some tips and tricks on how to use the platform, please share them with us in the comments section below. ← "How to buy my first home in Switzerland" guide | Step 9 - Workshops phase, fun or nightmare?